Russia and ASEAN must strengthen their ties and cooperation because they share political and security interests, according to a leading Russian strategist. 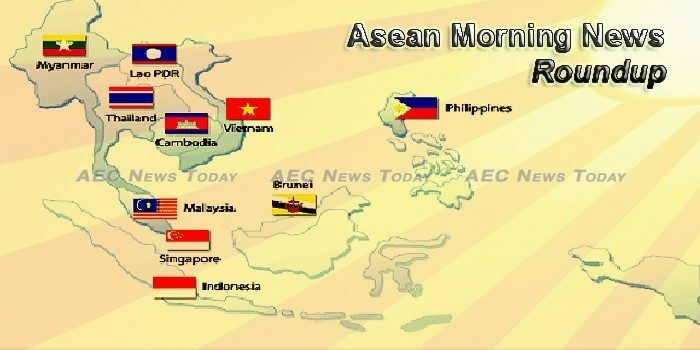 Indonesia’s foreign affairs ministry has has called on all members of the Association of Southeast Asian Nations (ASEAN) to unite in the fight against crimes at sea, reports Tempo. MALAYSIA’S SuperAnt Technology Sdn Bhd and China’s public listed e-commerce service provider Eget Information Technology Co. Ltd have signed a Memorandum of Understanding at Hangzhou, China to drive cross-border e-commerce trade between China and the Asean region. Total steel import in the ASEAN six countries (namely Indonesia, Malaysia, Philippines, Singapore, Thailand and Vietnam) declined significantly, by 11% y-o-y to around 25 million tonnes in the first half of 2017. Intra-ASEAN steel trade also declined, by 6-7% y-o-y, to 1.4 million tonnes in the same period of 2017. Intra-ASEAN steel trade for long steel declined by a double digit of 12.5% y-o-y to less than 400,000 tonnes in the first half of 2017. To understand the tourism destination Industry Status worldwide, Market Research Hub (MRH) has included the latest Forecast report titled “South East Tourism Destination Market Report 2017” to its vast database. This report is a professional and in-depth analysis on the present state and future prospect for the global market. It provides valuable information to the industry insiders, potential entrants or investors. SAN Carlos City in Negros Occidental is among the recipients of the 1st Association of Southeast Asian Nations (Asean) Clean Tourist City award. As chair of Asean next year, Singapore will work together with Argentina to strengthen cooperation between the G-20 and Asean. Inviting leaders of 10 South East Asian countries to attend the 2018 Republic Day celebrations as well as participate in a commemorative summit marking the 25th anniversary of India’s ties with the bloc, Prime Minister Narendra Modi said 1.25 billion people of India are keen to welcome the Association of Southeast Asian Nations (ASEAN) leaders as the chief guests at India’s 69th Republic Day celebrations. The United States on Wednesday said it will block entry to Cambodians whom Washington deems are “undermining democracy in Cambodia” and called on Phnom Penh to reverse an anti-democratic crackdown on the opposition. Much of the Western world lined up to admonish Cambodia’s Supreme Court’s ruling last month to dissolve the opposition Cambodia National Rescue Party (CNRP), with the European Union and United States in the lead threatening punitive sanctions, including visa restrictions on complicit officials. Business owners looking to set up shop in Indonesia are probably best advised to give the Sumatran capital of Medan and the West Java capital of Bandung a miss. Indonesia’s central bank on Thursday said it had issued a new regulation prohibiting the use of cryptocurrencies — including bitcoin — in the country, as their rising popularity has raised concerns over unwanted impacts on the economy. Upstream director Syamsul Alam of state-owned energy firm Pertamina has called on the government to declare that the country is facing an energy crisis, as it is now a net oil importer and would soon become a net gas importer, kompas.com reported on Wednesday. The Lao News Agency (KPL) and Vietnam News Agency (VNA) have agreed to increase information exchange and enhance cooperation. GRET Professionals for Fair Development has agreed to continue longstanding cooperation efforts with the Department of Forestry under Ministry of Agriculture and Forestry in support the implementation of Huaphan province’s bamboo strategy project. Malaysia continues to propel itself as a halal hub – most recently with plans to develop a halal-vaccine manufacturing centre. The strong 18.8 per cent export growth in October points to a healthy economy in the fourth quarter, said economists. UNESCO Myanmar and local agri-tech startup Greenovator have launched an upgraded version of a mobile application that puts a wealth of development information of people working in the country’s agricultural sector. The Ministry of Labour, Immigration and Population is planning a December 23 forum that will include participation of a wide range of stakeholders as demanded by labour groups. The ministry is also considering a minimum wage designation timed for next May, said permanent secretary Myo Aung. A TEAM OF 37 executives from 14 leading US companies met with representatives of the Union of Myanmar Federation of Chamber of Commerce and Industry (UMFCCI) at the latter’s office on Wednesday to deepen bilateral economic relations and to seek new joint ventures with local firms. The Philippines plans to sue Sanofi over its dengue fever vaccine in response to the French drugmaker’s warning that the drug could lead to severe infections in some cases, the country’s health secretary said on Thursday. THE Armed Forces has recommended to President Duterte a one-year extension of martial law in Mindanao, which is due to end on December 31, so ground units will continue to have teeth in going after terrorists. The number of Filipino families that experienced involuntary hunger in the third quarter of the year rose by half a million, according to the latest survey by the Social Weather Stations (SWS). In much of Asia, including Singapore and Hong Kong, merchants have multiple options to accept customer payments: cash, credit card, and stored value facilities in the form of e-wallets. Local bike-sharing service provider oBike had suffered a global security breach that lasted at least two weeks, resulting in user data being leaked online. Singapore has surpassed the United States to emerge as the top destination for overseas investments from China in this year’s China Going Global Investment Index 2017. The University of the Thai Chamber of Commerce (UTCC) has credited government stimulus of the grassroots economy with pushing Consumer Confidence in November to the highest point in 33 months. All fights from Don Meuang airport to Nakhon Si Thammarat for Friday (Dec 8) have been cancelled as flood situation in this southern province remains serious. THAILAND will highlight water management, connectivity, sustainable development and people-to-people relations when Foreign Minister Don Pramudwinai joins the 3rd Lancang-Mekong foreign ministers meeting in Dali, China, next week. Prime Minister Nguyen Xuan Phuc has issued a decision to assign new State budget estimates in 2018 to the relevant authorities and localities, as well as urging them, on the basis of the assigned estimates, to take initiative in deploying the increase in basic salary for civil servants and public employees from July 1 next year. The State Bank of Vietnam, the country’s central bank, likes to be the only entity authorized to accept savings in gold bullion and conduct transactions on gold trading floors. Vietnam’s Ministry of Planning and Investment, with the assistance of the World Bank, is currently drafting a new FDI strategy for 2018-2023 focusing on priority sectors and quality of investments, rather than quantity.